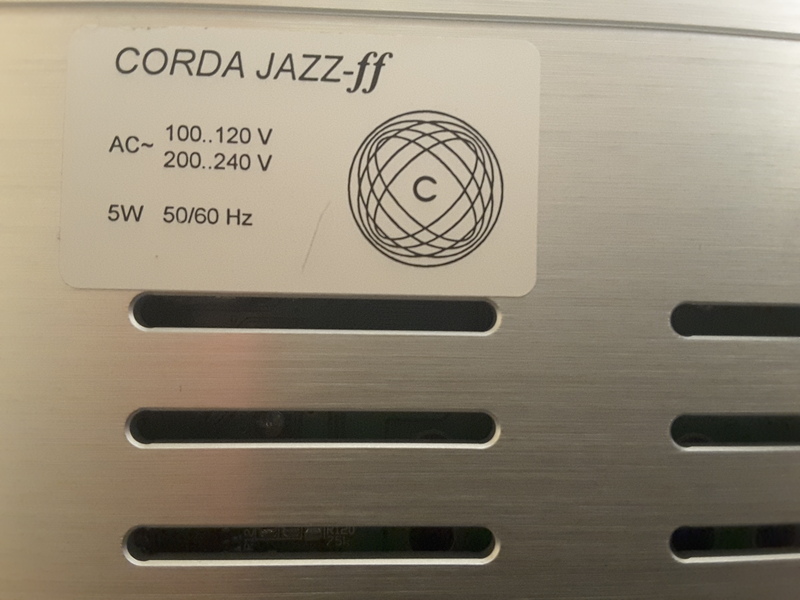 The Meier Audio Corda JAZZ-ff amplifier is a JAZZ model with frequency - adaptive feedback technology incorporated. Available in either black or silver. The JAZZ-FF is a fine choice for people who normally prefer tubes but like the reliability and energy-efficiency of solid-state. 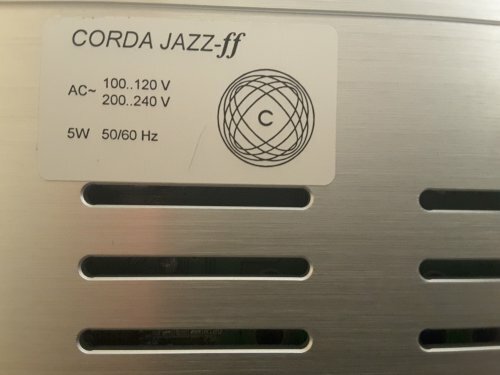 The JAZZ uses the concept of active balanced headphone ground in which each headphone connection wire carries an additional signal such that the sum of the potentials of the wires equals zero. This strongly minimizes the energies stored and released in the electrical fields inside the headphone cable, eliminates pollution of the internal signal ground by strong driving currents, and strongly improves the power-supply-rejection-ratio at the output stages. Thus the best conditions are given for a clean and undistorted sound. Active balanced headphone ground offers most of the advantages of a true balanced headphone setup without the need of balanced connections. It can be used with any conventional dynamic or magneplanar headphone. The volume control is technically very sophisticated. The position of the potentiometer is measured with the use of an AD-converter. 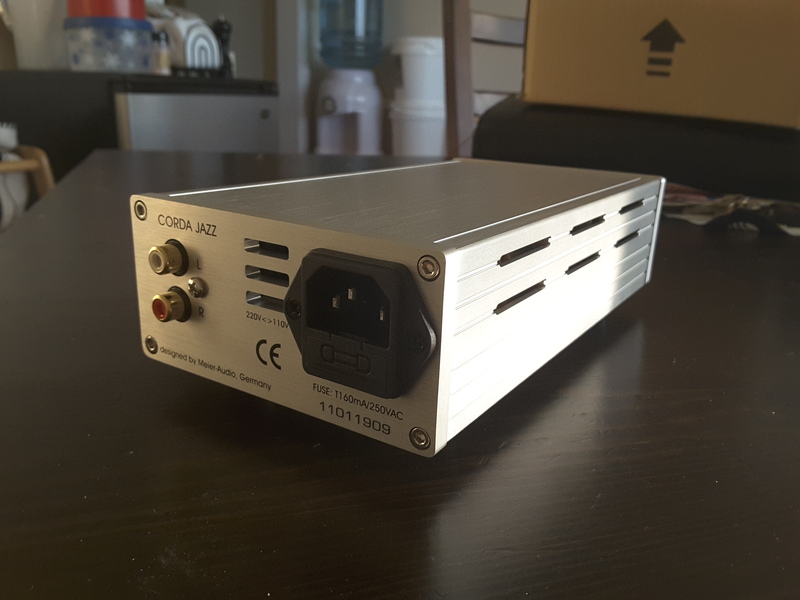 The output of this converter is then used to set the proper volume level with a number of electronic switches. There are a total of 32 levels which allows for sufficient small stepsizes and a very analog feeling. The advantages of this concept are strongly reduced channel-imbalances and a much cleaner and more detailed sound. The use of a conventional stereo-potentiometer does add its own sonic signature which is now prevented. Of course this amp also has our proprietary crossfeed filter incorporated which helps to strongly reduce listening fatigue. Discrete volume control. Typical stepsize 1.4 dB, 31 steps. 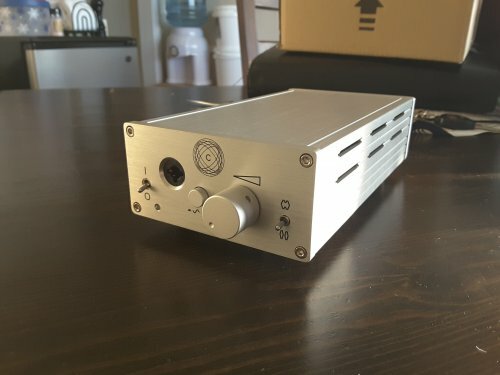 Silver plated headphone jack (Neutrik). 110V and 220V mains power switchable. Low impedance electrolytic buffer capacitors (Nichicon). Total Buffer capacity 39,000 uF. Bypass capacitors in the power supply. Polystyrol and polypropylen capacitors in the signal path. Metalfilm resistors in the signal path. OPA209 opamps biased into class-A. A total of 4 BURR-BROWN BUF634 buffer amplifiers at the left, the right, and the ground output channel. Signal paths and signal path components at the bottom side of the PCB for maximal shielding. jaco61 and Jodet like this.